Solving the issue of Kosovo: Is change of borders possible? 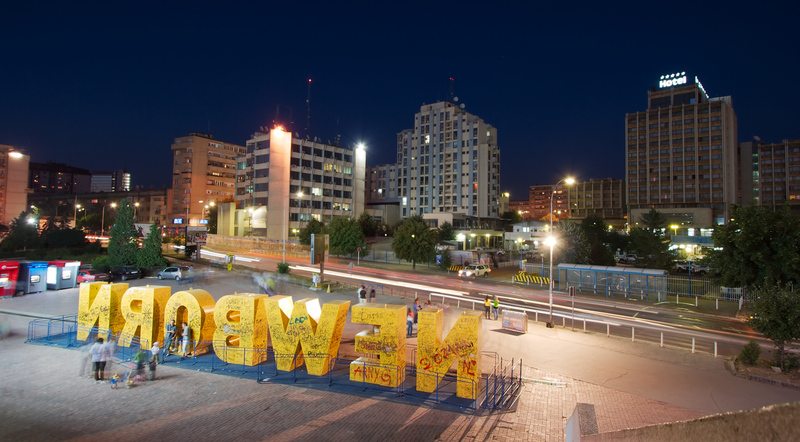 BELGRADE/PRISTINA – In the past several days, proposals for final status of Kosovo and its future relations with Serbia are once again in the centre of public attention. Different positions were heard from governments in Belgrade and Pristina, experts, civil society representatives and international community. After spending several days announcing the “correction of borders”, president of Kosovo Hashim Thaçi posted on his facebook profile on Wednesday that he pushes for a referendum in which citizens would decide about Medveđa, Bujanovac and Preševo (municipalities in south-eastern Serbia) becoming a part of Kosovo. “We have to work as hard as we can in order to achieve a definitive peace agreement. I am in favour of reaching the agreement and after the request of Preševo representatives, I proposed a correction of border with Serbia, as the only option for the legitimacy of the wishes of Albanians that live there. 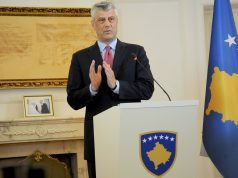 That means no separation of Kosovo, and no autonomy for Serbs”, said Thaçi. “The request of Albanian representatives from Medveđa, Bujanovac and Preševo to become a part of Kosovo will be presented in Brussels, and the correction of the border with Serbia is the only solution”, repeated Thaçi, KoSSev reports. It is not, however, certain that Kosovo’s leadership has the same opinion on this matter. Prime Minister of Kosovo, Ramush Haradinaj, during his visit to Albanian city of Vlorë, said that, for him, opening the question of border change is unacceptable, and that he supports recognition of Kosovo in its existing borders. “The border should not be touched! 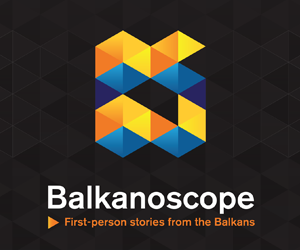 Current borders are result of wars that have had tragic consequences for the Balkan nations, and they cannot be changed through statements”, said Haradinaj, Kosovo’s Gazzetta Express reports. After Serbia’s ministers of foreign affairs and defense have mentioned demarcation as the acceptable solution, president of the country Aleksandar Vučić made his position clearer on Thursday. “I am in favour of demarcation with Albanians”, said Vučić in Serbian town of Šid, reported Tanjug. “Having a territory that nobody knows how to treat and whom belongs what in it is always a source of potential conflicts and problems”, he added.”I am in favour of demarcation and I do not hide that fact, that is the policy I represent. It may or may not gain support of the citizens, but I will continue supporting it nevertheless”. However, Vučić did not give any details of his proposal, saying that he does not want to reveal everything and thus compromise the position of Serbia while negotiations are still in progress. Whether Vučić’s proposal of demarcation includes territory swap or not is, therefore, still not clear. 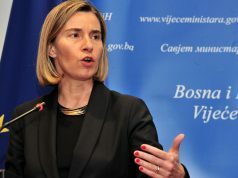 Nevertheless, this possibility was discussed in Serbia and Kosovo, and civil society organisations from both sides sent an open letter to EU High Representative Federica Mogherini, urging her to make a statement against division of Kosovo, because it legitimizes principle of ethnic ownership of a territory – a principle that has pushed the region on several occasions into bloody conflicts. The danger of Kosovo’s division was also highlighted by David Phillips, former adviser at State Department and current director of the Institute for human rights research at the University of Colombia, New York, in his op-ed for Balkan Insight. To illustrate possible consequences of territory swap between Kosovo and Serbia according to ethnic principle, Phillips gave the example of India and Pakistan, where that kind of action lead to violence and massive migration. “Partition could spark a new phase of ethnic conflict in Kosovo and the region, destabilising fragile multi-ethnic states. Would the Republika Srpska in Bosnia seek to join Serbia? Would ethnic Albanians in Macedonia be next in line to unify Albanian territories?”, wrote Phillips. As additional problems he listed the issues of property, missing persons, population that would be left on the “wrong side” of the border, as well as the lack of guarantee that Kosovo would become a member of UN or EU, because of the states that still do not recognize it. Representatives of United Kingdom and Germany also spoke against border change. In a statement for Radio Free Europe (RFE), UK Embassy in Pristina states that normalisation of relations between Serbia and Kosovo is crucial for security, stability and prosperity of both countries, but also region as a whole. “We believe that the calls for correction of national borders could be destabilising”, the statement reads, adding that UK will continue to support EU-facilitated dialogue, with the aim of comprehensive and sustainable solution in both countries’ interest. The officials of Germany have in multiple occasions stated that the partition of Kosovo could lead to potential destabilising effects in the region and beyond, which is the reason behind this country’s categorical opposition to that option. This was recently stated by German Ambassador to Kosovo, Christian Heldt, writes RFE. Germany’s minister for Europe Michael Roth also stated for Kosovo’s media that Germany thinks reaching an agreement between Serbia and Kosovo with the mediation of EU should be a priority, but that Germany is categorically against border change, because something like that is too risky. US State Department, on the other hand, did not explicitly denounced partition as a solution, RFE reminds. It recently stated that US support Belgrade-Pristina dialogue, and that now is the time for sides to be “creative and flexible”.